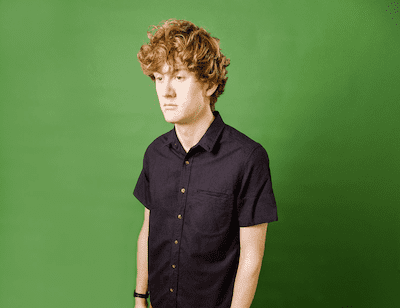 It’s not very often that someone can make the simple act of trying to buy a banana a large section of their show without completely losing their audience, but James Acaster is one of those people, and he shows it with his latest tour ‘Recognise’. 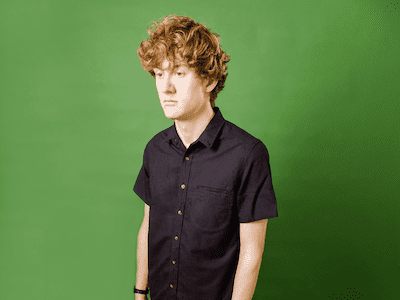 With his messy ginger locks and old-fashioned dress sense he wouldn’t be out of place roaming the campuses of Oxbridge or teaching at a public school but Acaster uses this look to good effect, adding around it his soft-spoken, often sarcastic comments about the world, giving his quirky stories a strange down-to-earth air no matter what he’s actually saying. And those things are as outlandish and odd as you’d expect from a comedian who loves to take the mundane to the point of ridiculousness. The aforementioned banana anecdote just being the start. It’s an elaborate one that involves Prêt à Manger and the pleasure of finding loopholes, except for when the concept is crushingly turned upon you. Always engaging and talking with the audience in a colloquial manner, he’s about as far from a one-liner comedian as it is possible to get, telling long stories in order to reach the final joke, and even stopping the show at one point to assure the audience that he will get to it eventually, but it’s the long ramblings that are actually the best part of his act. Moving on from the banana shenanigans, Acaster’s long tangents eventually take us to his career as an undercover policeman named Pat Springleaf, sent to unveil the drug dealers in the stand-up comedy circuit. The topic may be baffling but the amount of tales that Acaster manages to weave out of this strange concept is brilliant, every line delivered in the same almost matter of fact tone. Sure, to some his brand of storytelling and eclectic range of inspiration may just be too much since his brand of humour lies in the ridiculousness of these often useless objects or situations, but he does a great job of pointing out some of the absurdities that lie around us, from just what Dr Pepper is to his analysis of the word ‘umpteen’, there’s so much in there that he puts his own very unique stamp on, and it’s hard not to love Springleaf and his increasingly crazy shenanigans, ending in a podcast of his own creation that mocks the British hardmen of film like Vinnie Jones and Danny Dyer wonderfully. Ultimately what he manages to do is fill his set with meandering conversations and interesting tidbits that are consistently amusing, and even throw a few belly laughs in there for good measure. Having showed his prowess recently on the major panel shows on TV it’s nice to see that that energy is brought to the stage with as much enthusiasm, making Acaster a comic that’s definitely worth seeing, even if you also want to lament about how you just don’t know what flavour Dr Pepper is.